Promo of a single that never made it to the shops. 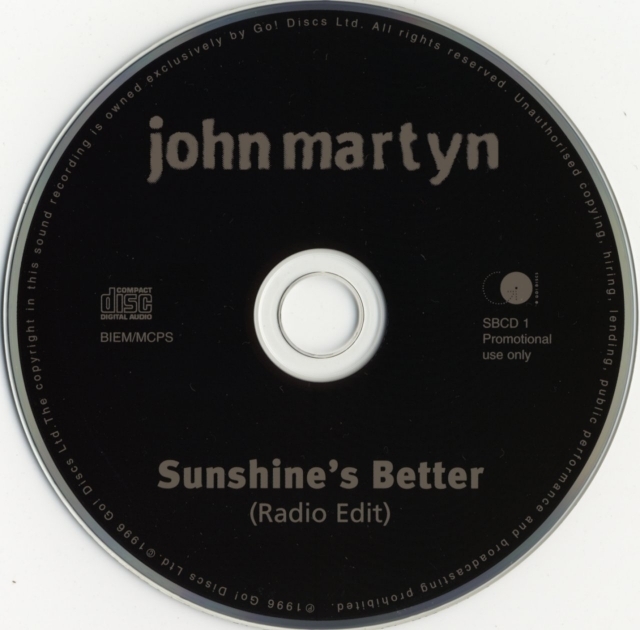 Sunshine's Better GOD154CD (also announced on 7" vinyl GOD154) was never released by Go Discs. So this single is very rare as it was an early radio promo of a single that never was! The radio edit (3:56) is shorter than the album version; the original version lasts 5:15. They simply made an early fade out. The CD had no cardboard cover but a standard single jewel case. The printed characters are not transparent but brownish.